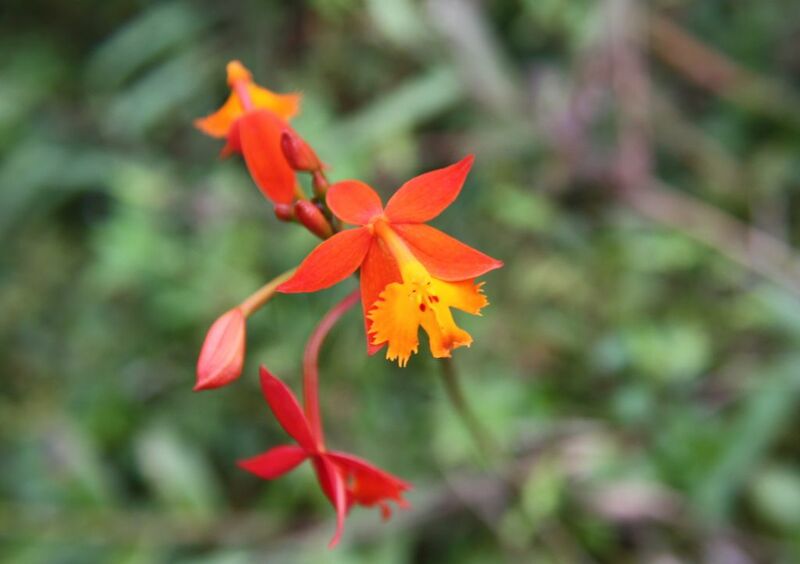 Found from Puerto Rico, Mexico, Guatemala, El Salvador, Honduras, Nicaragua, Costa Rica, Panama, Venezuela and Colombia as a large sized, warm to cold growing terrestrial or lithophyte growing most often in open areas between grasses and rocks, especially on roadside banks in pine oak forest and mountain rain forest at elevations of 900 to 2500 meters with erect to nutant canes with adventitious roots, and carrying ovate to elliptic, an unequally bilobed apex, coriaceous leaves that are evenly distributed along the branching stem that blooms the most between fall and spring on a terminal, erect, 10 to 38" [25 to 50 cm] long, umbelliform inflorescence with successive opening, resupinate flowers all clustered in a ball at the apex. 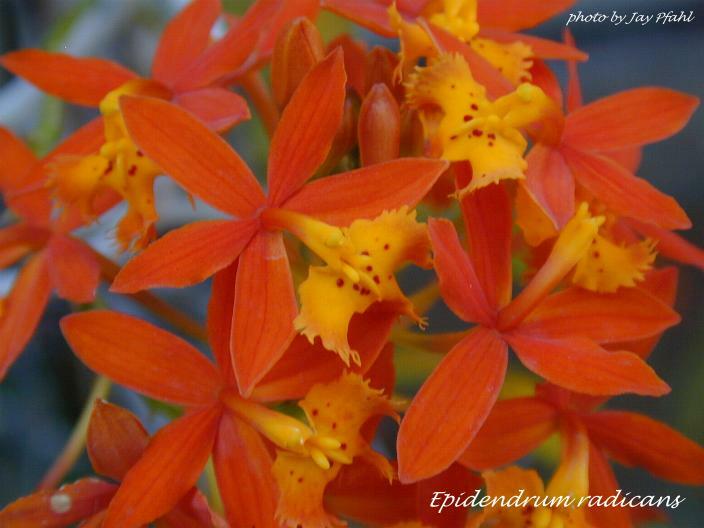 It differs from Epidendrum ibaguense H.B.K. in having roots all along the stem and a creeping habit, never caespitose. I have 15 or so of this species planted directly in the ground in my front yard and it is almost everblooming and it is a very impressive site. The first photo was taken in Panama and the second is from Mexico.